Games don't need the best of the best graphics to be immersive - they just need to approach things differently. Neogence CEO Robert Rice is best known as an advocate of augmented reality - as previously covered here on The Escapist - but that doesn't mean thinks more traditional games can't deliver an immersive experience. In fact, it's quite the opposite. "Immersion turns a diversion into a full-blown experience," said Rice at his "Immersion X" panel at Triangle Game Conference 2010. A diversion can be something fun and entertaining like Tetris or Bejeweled, but an experience has an effect on you, and becomes something you remember years later. And really, graphics don't have anything to do with it. Rice related a moment he still remembered from ancient text-based MUD Gemstone years after the fact: He knew that there was a secret organization in a given area, and was searching a single room in a little house, absolutely sure that it was the key to their hideout. He discovered an ivory bowl, placed his Obsidian Sword in it, and pulled a lever - and the sword disappeared. But it wasn't any sort of secret entranceway or price to pay for entry. He later learned he'd flushed his favorite sword down a toilet. Setting and atmosphere are two of the most crucial elements to properly immersing a player and getting them to leave the real world behind, said Rice, and sometimes it can be more effective to pull a Hitchcock and not tell the player what's going on. He used Portal as an example: The player wakes up in a laboratory and immediately has to ask themselves, "Who am I? Where am I? Why is this computer trying to kill me?" Those questions immediately give the game an exploratory nature as the player unravels the mystery. It was crucial for games to have good openings, argued Rice, because that was the defining moment that would determine whether the player became hooked or not. 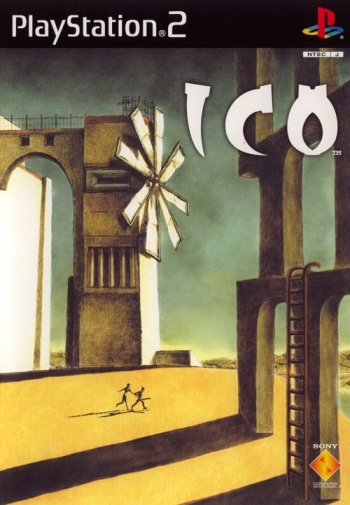 Early PS2 adventure game ICO had another incredibly affecting opening - you don't know who the boy is, you don't know why he's abandoned in the castle. You're exploring, you hear echoing bird squawks and the dripping of water, and then you meet a mysterious girl - and all the while, there's no dialogue. "It draws you in as a user - the movement of the characters and how they express themselves without words. I want to protect this girl. I want to save her, I want to get her out of her and rescue myself, too." Great openers are emotionally engaging and establish a setting and atmosphere, said Rice, reading some classic opening lines from literature like Neuromancer, Poe's The Raven, and Tolkien's The Hobbit. "A long time ago in a galaxy far, far away - you've already got a culture and people and planets beginning to unfold in your mind. It's the same with 'Once Upon a Time.' What does that mean? What's coming next?" "You can't just do immersion with pretty trees." But that doesn't mean that technology can't help, said Rice, with things like Project Natal and the thought-reading Emotive system. "It turns the interface into an experience - it changes the interaction between you and the game. You are the main character, now." But technology aside, one of the most effective tools any developer could do was give the player questions: "Let the brain fill in the blanks, and you make more of an experience and give the player something to remember. [Games] transcend any type of media - they're unique in that they let you interact with them and share an experience with us." "We're the guys who can weave dreams."